Canada's Arctic region is dominated by the tundra biome which is devoid of trees and lacks any natural landmarks - however stones can be found on this landscape. Canada's northern people's, including peoples of other Arctic nations, build these stone structures for a variety of purposes including navigation, reference points, hunt ground markers or as a food cache. 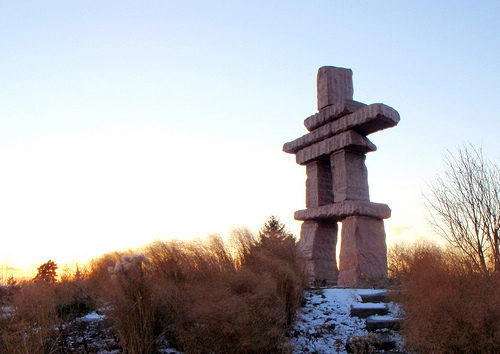 Located in Toronto's Inukshuk Park stands this magnficent statue. "What is the eighth word on the first full line of text on the plaque?" (The title on the plaque is not considered the first full line of text). Visiting Toronto on a conference trip. After the program of the day ended, I went for an evening walk before dinner to find a couple of caches. I also took several photos of the interesting things I found while there, including this one. Thank you for the cache! First finder in over 5 years! Found after dark after an Argos game at BMO field, which they just moved into in 2016. There are actually several plaques, but when the CO talks about the "Title", it's pretty easy to figure out which one is the intended one. Bad night pic attached, although we did drive past it during the day when making a U-Turn back to the BMO field parking lot. Thanks for creating this virt back in 2010! Not that this is a good thing (especially with me being webmaster), but this is now my all time loneliest cache find on OCNA, a little short of 5 years and two months since the last find. I'm sure I'll never top the 10 year old never found Navicache virtual I FTF'd though. I ride past here on my bike fairly often, but this is the first time I stopped to read the signs. Thanks for setting this up! Oh how few the opencaching meatballs there are around here! This was a nice change, i have been to this area many times, but i dont think i have noticed this guy standing on the beach before. Good virtual! Thanks! In the area today and thought I would stop by for 2 reasons. The first, was of course, the cache. The second, was to see this amazing homage to those who lived in this country before me or anyone in my family tree. 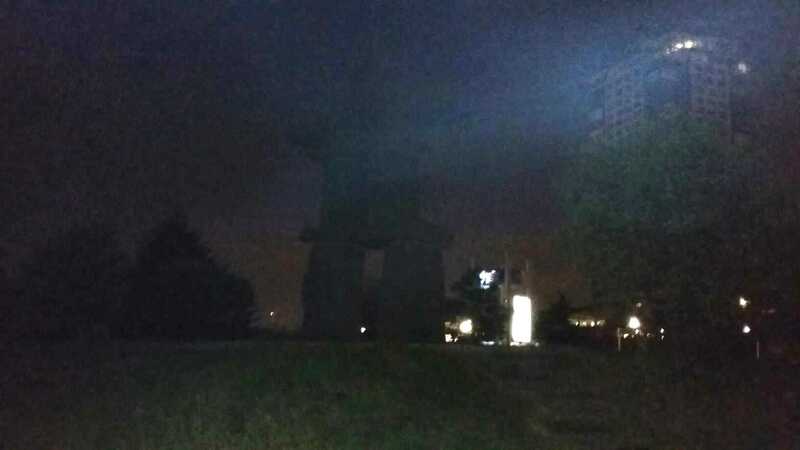 An awesome sight and a great place for a virtual cache. Thanks alot for bringing me to a spot I would have otherwise never known existed.